We implemented our GCMS along with a newly developed online reservation system. This enabled their company to access and manage all reservations and vacation properties as needed. 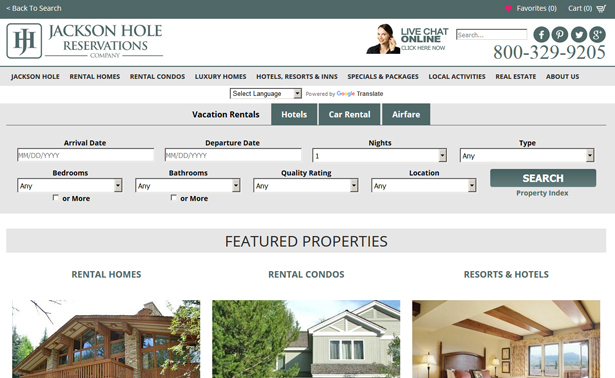 Jackson Hole Reservations has all properties from all property management companies in the Jackson Hole area listed on their site, making Jackson Hole Reservations the authoritative vacation rental property management company in the Jackson area.